When I was a child, I used to get so excited when we were on our way to Rawdon, Quebec to see my grandpa for Christmas. He always makes the most amazing food and an insane amount of it too. 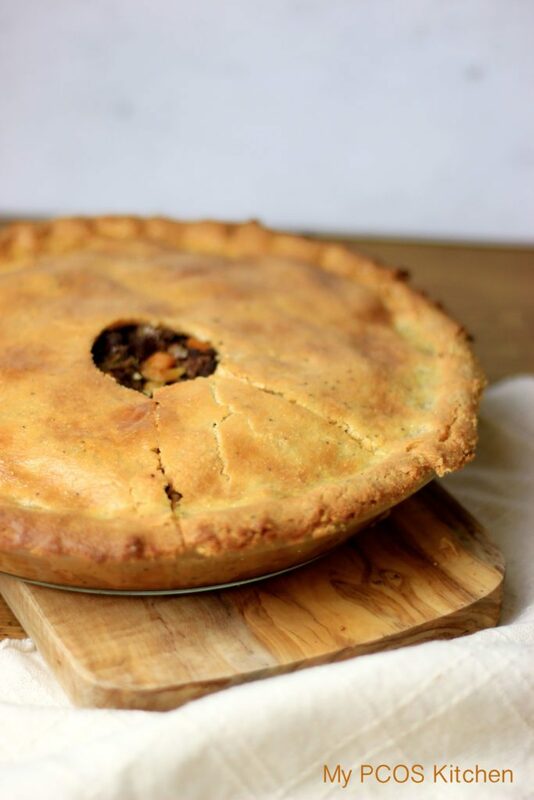 He likes to make a couple of different tourtières and can them, or give them to the whole family. 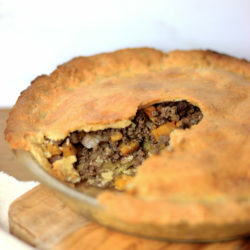 In Quebec, the most common type of meat pie is called a tourtière. 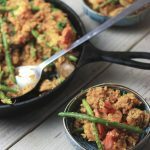 It is usually made with a mix of different types of ground meat, potatoes and spices. My grandpa usually makes two types of meat pies. 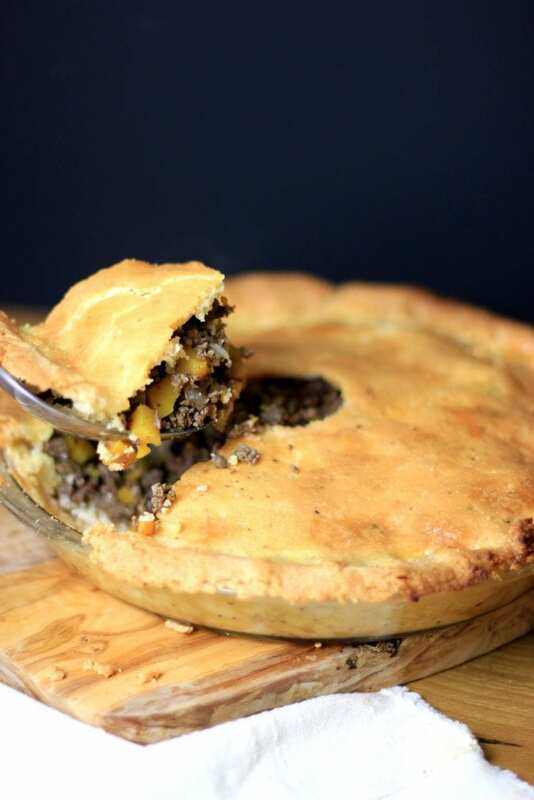 The first is the normal tourtière and the second is a tourtière from his hometown called ‘Tourtière du lac St-Jean’, which is a massive sized meat pie that usually includes 5-6 kg of meat from hunted animals like moose, venison, bison and so on, with potatoes. You bake it in the oven for an entire day and the meat and potatoes just melt in your mouth when it’s ready. 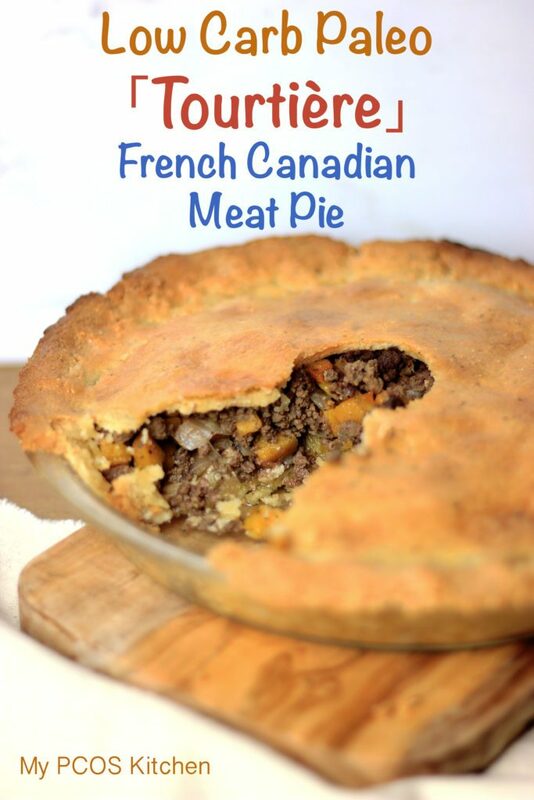 My organic grocer here in Japan recently started selling ground venison meat so I thought I’d be the perfect opportunity to try and make a Paleo Tourtiere that is also low carb! Traditional meat pies usually call for potatoes, so I decided to swap them for a little bit of butternut squash. 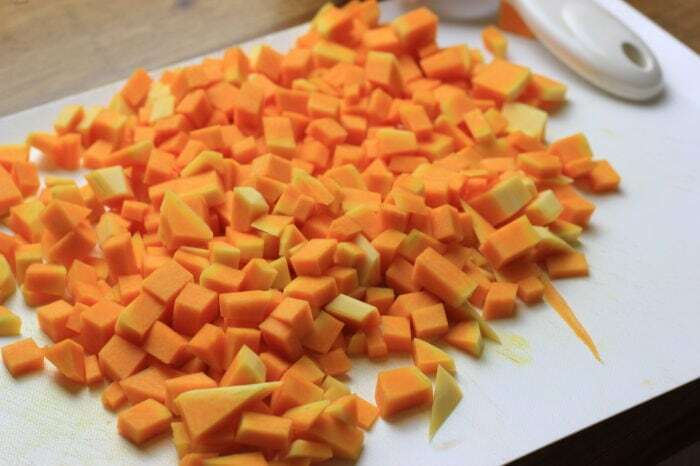 I don’t usually eat high starch vegetables like sweet potatoes and squashes, but I do use them occasionally. I avoid white potatoes at all cost, and use sweet potatoes or squash instead because they’re low GI vegetables and they’re paleo. I didn’t use an entire butternut squash simply because it would add too many carbs to the pie. You do have to treat this crust like any other paleo crust and be careful as it can break apart when you roll it out. The trick to getting the perfect crust is to roll it out between two sheets of parchment paper and flip it over your baking dish. This way it doesn’t break apart, but if it does, it does so inside the baking dish. I did the same thing for the top crust, but I cut a hole in the middle prior to adding it over my pie so that it wouldn’t crack. if you wanted to add more meat. 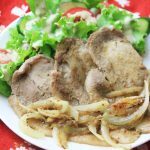 A delicious flaky gluten-free paleo crust filled with juicy venison and pork. In a small bowl, whisk the 2 eggs together. 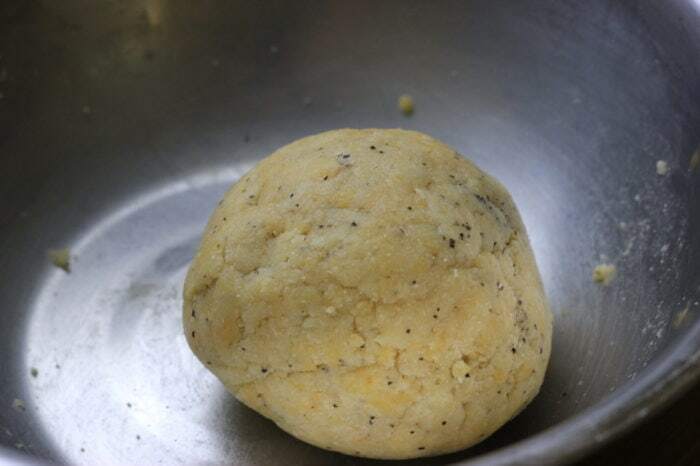 In a large bowl, combine the almond flour, salt, pepper, beef tallow and 3/4 of the eggs. Keep 1/4 of the egg mixture and set aside. 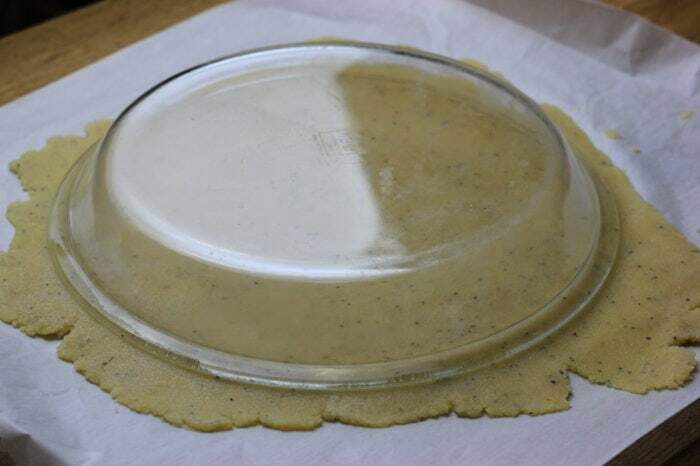 Mix together either with your hands or a silicone spatula until the mixture forms into a ball.
. Peel the top parchment paper and carefully flip the dough over the pie plate. With the paper still on, press the paper right against the pie plate so that the dough sticks to the plate. Carefully peel the paper off and fix any issues you may have. 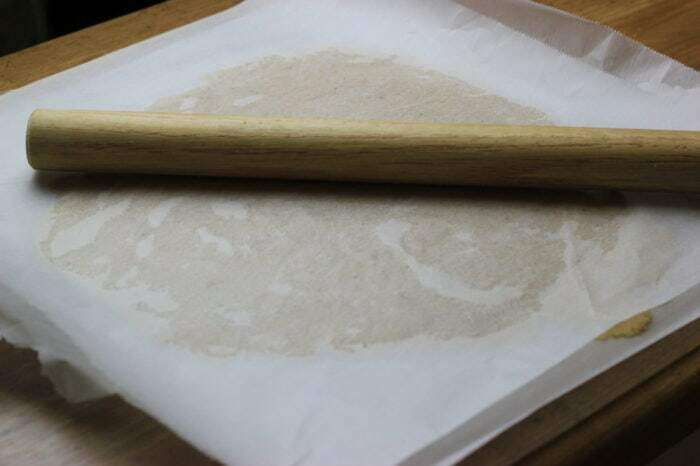 For the remaining 1/3 of the dough, place the dough over a piece of parchment paper and cover with another sheet of paper. Roll it out until it's about 9 inches wide. 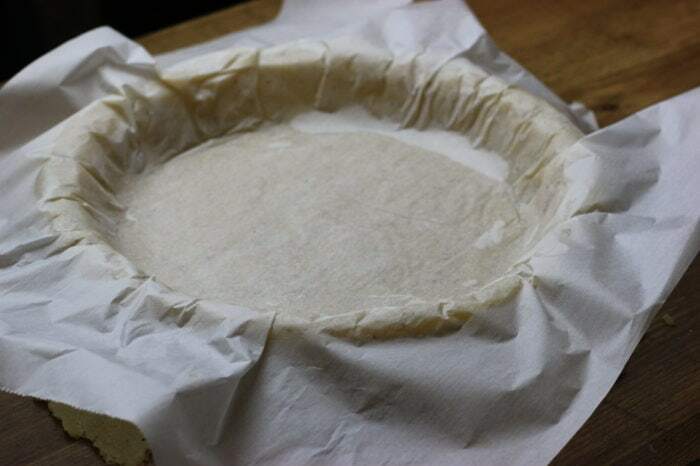 Peel the top paper and make a small hole or triangle (or whatever design you want) in the middle so that the steam can come out while baking. 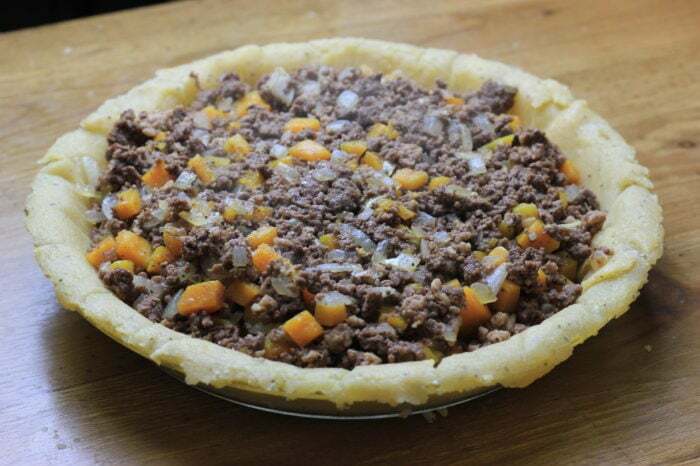 Once you have filled the pie with the meat, carefully flip the top crust over and carefully peel the paper off. 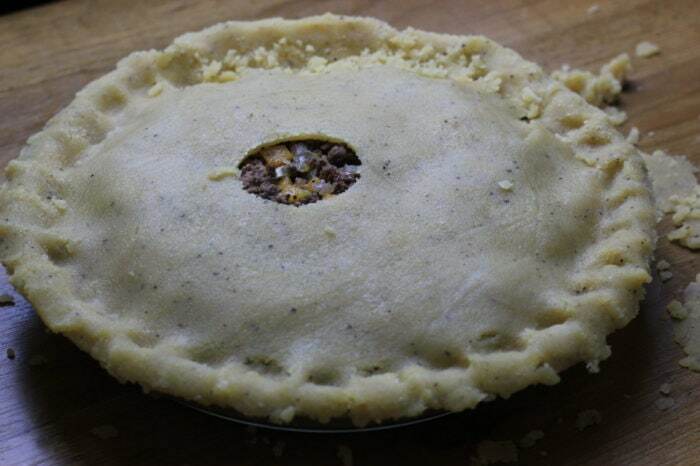 With your fingers or a fork, press the pie borders so that nothing leaks out. Peel and thinly dice the butternut squash. Dice the onion and mince the garlic. In a large frying pan, heat 2 tbsp of olive oil and add the onions and garlic. Sautee on medium heat for 2 minutes and add the butternut squash and meat. Cook 5 minutes and add all of the spices and water. Cook another 5 minutes until the water has evaporated. 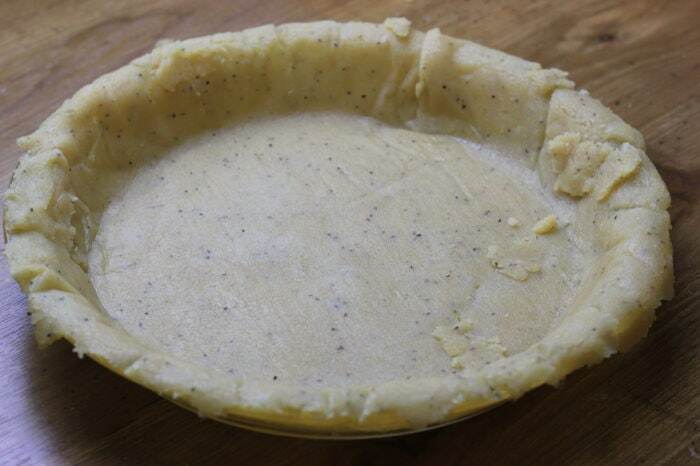 Pour the meat mixture inside your pie crust and cover with the top pie crust. Add 1 tsp of water to the 1/4 egg mixture and mix. Brush the egg wash over the top crust and place it in the oven. Bake for 23 minutes or until the top crust is golden brown. 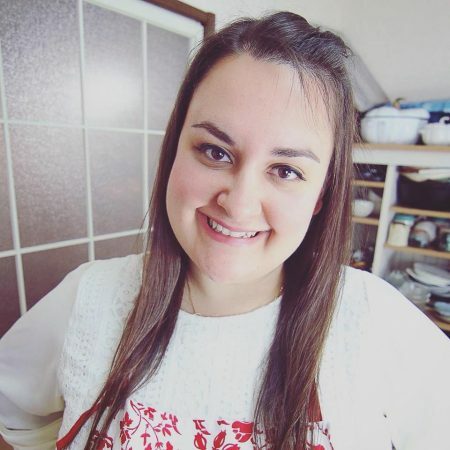 Can I use something else instead of beef tallow ? Thanks ! You can use coconut oil, lard, butter, ghee, shortening…Any fat will work! This was delicious ! Reminded my of a trip I took to Quebec a few years back. Is there something else I could use instead of the beef tallow? 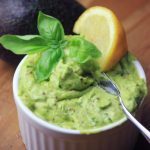 You can use lard or coconut oil! The filling was good, but I agree, a bit too dry. I am thinking of adding some beef fat or perhaps a little butter mixed with powdered beef broth soup base, to try and add a bit of extra “unctuous-ness”. Definitely worth making again, so thanks! Tried the pie. The crust was great. I thought the pie would had been better with a little juice. Mine was a bit dry. but glad I tried it.